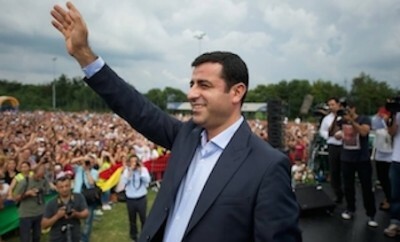 On 4th November 2016, the Co-Chair of Turkey’s pro Kurdish political party, the HDP (the Peoples’ Democratic Party), Selahattin Demirtas (pictured) was arrested and kept in pre-trial detention at Edirne prison under the country’s anti-terror law. On Wednesday 14th February 2018, in Ankara Demirtas will appear before a court as part of his ongoing trial. I am a member of a delegation from the UK that hopes to observe proceedings as they unfold. Ms Figen Yüksekdağ is charged, under the Anti Terror Law, with inciting violence, making propaganda for a terrorist organisation ( PKK) and establishing and managing a terrorist organisation. These accusations were made on the basis of speeches she had made, as an elected MP, both inside and outside parliament between 2011 and 2015. 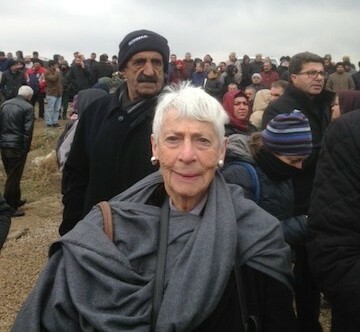 Figen, as an elected member of parliament, and co chair of a legal political party, was simply doing her job. It was absurd to allege that her speeches were promoting terrorism. There is no evidence that she organised or is a member of a terror group. We the undersigned make this declaration to serve as a joint statement on behalf of all members of the international observes delegation that have arrived here in Ankara to observe and objectively report on the trial of the two HDP (Peoples Democratic Party’s) Co-Chair’s Sellahattin Demirtas and Figen Yuksekdag.